Introduce your little ones to animals with this early learning book! Bright pictures and labels encourage children to look, point, and learn as they are introduced to 100 animal words! 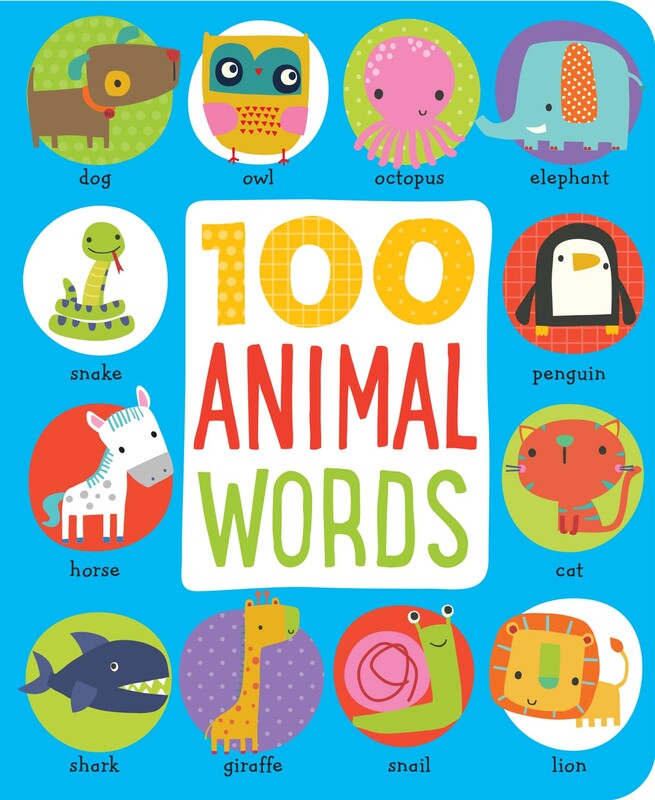 With adorable illustrations by Dawn Machell and a padded cover format, 100 Animal Words is the perfect book for little learners. Dawn Machell started her career in fashion before following her passion for children’s illustration. She has now been working as a freelance illustrator for 13 years, and her unique, quirky designs have appeared on children’s clothes, stationery, bedding, toys, and books. Dawn grew up in West Yorkshire, England, and has since settled there with her other half, Neil—although she often dreams of a second home in a warmer climate. When she isn’t creating unique designs in her new home studio, Dawn likes to spend time with her two children, Jodie and Alfie, and Minnie the dog.